In what is the most solid information we’ve seen so far amidst a slew of rumors surrounding Google and the potential of a Google Phone, today some reliable sources of Reuters and the WSJ have reported that Google is planning an announcement. Sources say that Google plans to unveil plans for their own mobile phone operation system in mid-November with possible plans to roll it out with an existing mobile phone carrier sometime next year. 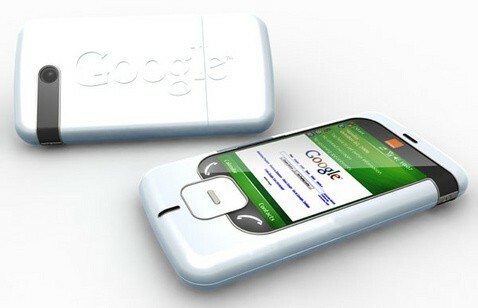 For a number of months rumors ran that Google had plans of making its own mobile phone but later the information turned to Google just making mock-ups of mobile phones that would run a Google operating system for an example to carriers and manufacturers. The latest talks is that Google is looking for a carrier who will bring a mobile device to market with the Google OS on it, possibly offering the device or service for free or at a very low cost in turn for users putting up with advertisements on the phone. 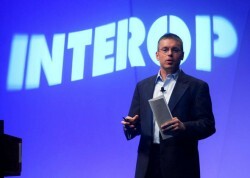 Google announced today at Interop New York that Gmail will now support IMAP along with POP3 for synchronizing email across multiple mobile devices and computers. This new addition to the popular free email service allows users to download and organize emails on any one interface including online, through their mobile device or on their computer and instantly see the changes on the other interfaces. 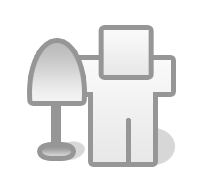 IMAP is not a new technology but is new and a welcomed upgrade to Gmail. The IMAP support was presented by Matthew Glotzbach, product management director for Google Enterprise who announced users could begin using IMAP immediately, however according to the Gmail site Google will be rolling this out to everyone over the next few days, so if you don’t see it right away it’s probably coming to your account soon. Google has a video that describes how to configure your Gmail account to turn enable IMAP and how to configure your iPhone with the service which is available after the jump. Suppose you own a company that both Microsoft and Google want to own a part of. Who do you choose to do a deal with? Do you base your decision on which company you think will be the stronger in the future or just on who’s offering the most cash? This is the present dilemma that Facebook owner Mark Zuckerberg is facing right now. Both Google and Microsoft are neck-and-neck with striking a deal that would see either one of the two online titans getting a 5-to-10 percent ownership with Facebook. The deal is expected to close sometime today or tomorrow. The potential deal is likely to be huge for whomever gets it. 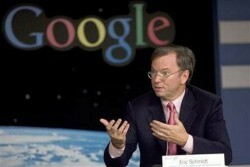 Both Microsoft and Google are set up to capitalize on serving advertising to Facebook’s 34 million members. No one from either of the three companies is offering to comment about the deal but if the “The New York Times” is reporting that it exists, take it to the bank. The internet giant is never content to sit back and let anyone else take a large piece of the pie. Hey, that’s how they got so rich! That’s why they are following Microsoft’s lead where health and medical records are concerned. They plan to roll out Google Health sometime early next year if they keep to their schedule. It makes sense since users all begin at the Google page to search for health and medical information anyway. So they will be applying Google’s expertise in indexing, searching, and managing vast amounts of information to the idea. It also doesn’t hurt that they will have the health industry targeted with their Adwords program. If Google’s history has shown us anything, it should be a huge success and give the giant still more dominance in the industry. Only yesterday we saw Google bring their YouTube online anti-piracy tool to beta to help combat the illegal posting of copyrighted videos. Today an announcement by a group of technology and media companies suddenly sheds some light on the significance of Google rolling out the service when they did. A group consisting of Fox, CBS, NBC Universal, Walt Disney, MySpace, Viacom, and Microsoft (note the absence of Google) has announced a copyright protection agreement for rules that they feel a website should abide by when publishing potential copyrighted content. According to the Wall Street Journal, the principles of the agreement are to prevent the any copyright infringing content to be uploaded before it is accessible by the public. 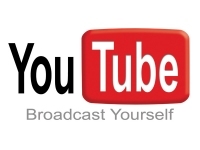 Today Google has announced the beta launch of YouTube Video Identification, a new antipiracy tool that we heard about in July during a copyright infringement lawsuit with Viacom. The new system is a result of a number of angry video owners, Viacom being one of the angriest, complaining that YouTube was supporting users uploading and sharing illegally copied video content. The new system will use a “fingerprinting” type of technology which provides a unique identification to each video. With Video Identification users will still be able to upload any videos they would like and have the instantly appear on the site as before, but once uploaded YouTube will then be comparing the uploaded content to legitimate videos provided by the owners. When matching videos are found the owner’s can choose to automatically have the video removed, promoted or in true Google form they can even take advantage of the uploaded content and monetize the video for copyright holders who chooses to license their videos. The secret to competing with the iPhone may just be a low price/low tech approach. Last week, Google acquired and got all social with the Finnish start-up Jaiku, holder of key Short Message Service patents. And though Google isn’t talking, we know they want advertisers to sponsor Google search results on mobile devices just like on Internet-connected PCs. Jaiku is of course, key to their strategy. In addition, they also acquired the mobile social network Zingku and expanded “Google SMS,” which is a free service that sends answers to texters with questions. In its latest acquisition the internet superpower company Google has purchased a Finnish startup called Jaiku for an undisclosed amount of money. 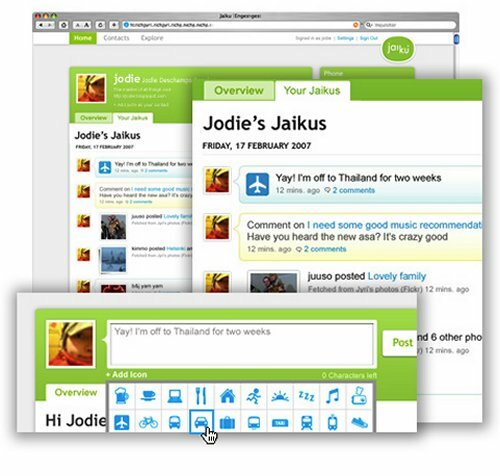 Jaiku is a developer of a mobile phone application that allows users to read web feeds, send messages about where they currently are and even do blogging all on the go. Dubbed “microblogging” by industry analysists, this is the second social networking company that Google has bought out in as many months following the September purchase of Zingku. According to a report from the NY Times, Google says that despite extensive rumors of a Google Phone the company does not have plans to make any mobile hardware that would compete with Apple’s iPhone or any other mobile device for that matter. Google does confirm however that they have been secretly working on a mobile phone project over the past couple years but targeting advertising and software, not hardware. They also admit to making some mobile phone prototypes, but only for testing and examples to manufacturers. Google’s goal with their mobile phone project is to further extend their reach of online advertising into the mobile internet through mobile phone software. This software would be a Linux based version that would have multiple mobile applications beyond just maps and search, and would compete directly with mobile operating systems such as Windows Mobile from Microsoft. Rumors and speculation are getting heavy regarding information on the Google phone, and this time CrunchGear has dug up some reported “facts” about the device and its functionality. According to the information from GigaOM, the supposed first Google phone might not be quite as cool or fancy as many of the photos floating around the net have depicted, and we’ve seem other rumors that it may be as cheap as $100 once released. Google has made it known that they will now be offering additional storage for their online applications, for a fee. Currently Google offers up to 1GB for Picasa Web Albums and as much as 2.8GB of storage for Gmail, all for free. When you reach your limit on the amount of storage space you now have the option of purchasing more which will apply across the different applications on your Google account. While Google might not ever really get into the hardware game directly with their own Google phone, according to the WSJ they are definitely putting a fair amount of time and money in that specific direction. According to the report, Google has put not millions but hundreds of millions of dollars into its cell phone project. Google may have an antipiracy tool for the YouTube video sharing site as soon as September according to a statement Friday by an attorney for Google. 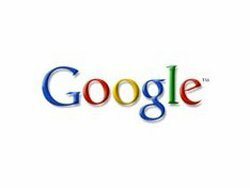 During a hearing in the copyright infringement lawsuit filed by Viacom against Google last March a Google attorney stated that they are currently working on some type of video recognition technology. This morning Digg’s Kevin Rose made a pre-announcement on the sites blog about the company making a 3 year deal with Microsoft to start exclusively providing ads on the Digg website, which was Google’s job up until now. “This move gives us an advertising partner with a larger organization and a more scalable technology platform to keep pace with Digg’s growth,” said Rose in the blog entry. Last year Google launched something called the Google Custom Search Engine, which is a tool that allows the addition of a custom-looking Google search box to just about any website. It met a lot of needs in providing a comprehensive search tool to the websites of many businesses, but it to the dismay of some it came with ads. The advertisements are how Google can afford to provide these tools without charge, but often the ads would take away from the professional branding of the site and even have the potential of showing advertisements from competitive products or services.